Yesterday I turned 29, on the 29th of October. That obviously means it was my golden birthday. For some reason I was always excited about this day. Ever since I was around 8, I have been looking forward to this birthday. I don't really know why. I know it doesn't really mean much. I think I just envisioned having a big party where everything was gold. Birthdays have always just been a big deal to me. I take them pretty seriously. I bought a new gold sequin top to wear, but I didn't end up wearing it because it was too cold. I wanted to pair it with my gold purse and "birthday girl" headband from two years ago. I made myself this cake too. In the morning I went with my mom, two aunts, and grandma to celebrate my b-day and engagement. We went to an antique market. Then, I went with my fiancé and sister to Chicago. 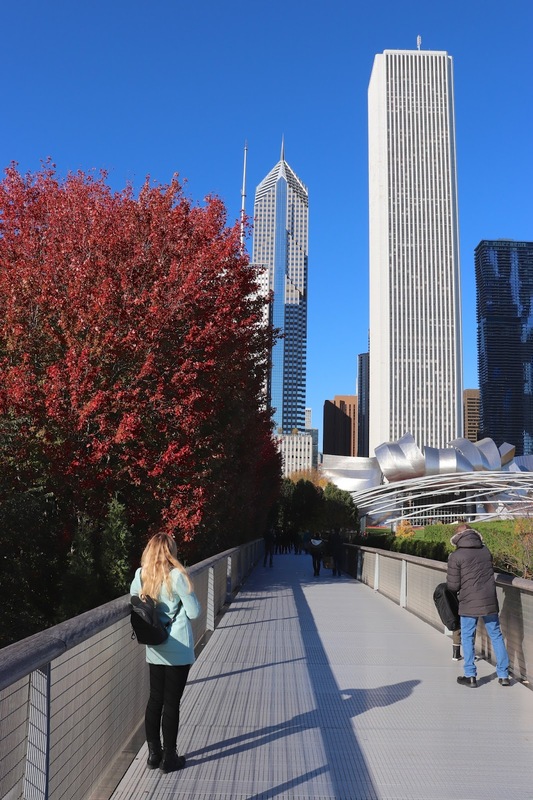 We walked around Millennium Park because I want to try out my new camera. Then we did some shopping. We also went out to eat at my favorite Thai restaurant. After we got home I watched some of Stranger Things season 2. Overall, it was a really fun birthday. Happy birthday dear.. loads of hugs! You look so pretty! Happy birthday!